And last, the hearty welcome. You all know your places, so please have a seat. From the highest rank to the lowest, I give you a hearty welcome. I will sit among you and act as the humble host. Our hostess will stay in her seat of honor, but when the time is right, she will welcome you also. Sir, welcome all our friends for me; for they’re welcome in my heart. For my heart speaks they are welcome. See, they encounter thee with their hearts' thanks. Both sides are even — here I'll sit i' the midst. [To First Murderer] There's blood on thy face. Look, they respond to you with their heart’s thanks. The table is full on both sides, so I’ll sit here in the middle. Everyone have a great time, we’ll soon have a toast all around the table! There's blood on your face. Better on the outside of you than on the inside of him. Is he finished off? My lord, his throat is cut. I did that to him. 'Tis better thee without, than he within. That I did for him. Yet he's good that did the like for Fleance. If thou didst it, thou art the nonpareil. You’re the best of the cut-throats. But it would be great if someone did the same to Fleance. If it was either of you, you are without equal. Most royal sir, Fleance has escaped. Oh God, there comes my fear back again. If it wasn’t for this I’d be perfectly fine, solid as marble, grounded as rocks, as free and easy as the air around us. But now I’m cramped and confined and all boxed in by unruly fears. But Banquo’s dead for sure? Then comes my fit again. As broad and general as the casing air. Yes, my good lord. He’s surely lying in a ditch with twenty deep gashes in his head. The least of those would have killed him. Thanks for that, at least the grown serpent lies dead. The young snake that ran away will eventually have poison, but right now he has no teeth. Get out of here. Tomorrow we’ll talk again. My royal lord, you haven’t given a toast. If you don’t make them feel welcome during the feast, the guests will feel like they’re paying for feasting here. If all they’re doing is eating they might as well be at home. Company is the special sauce that makes feasts worthwhile. Dining together would be bland without company. 'Tis given with welcome. To feed were best at home. Sweet of you to remind me! Now, let’s drink to good digestion, and good appetite that precedes it... and to good health, which comes from both! Please have a seat, your highness! We would have every nobleman in the country under our roof, if only gracious Banquo had come. I hope I can accuse him of rudeness for being late, rather than pity him for some accident. I think you can blame his absence on him, sir, since he promised to be here. He promised to come. Your highness, please sit and grace us with your royal company. May't please your highness sit. Here is a place reserved, sir. Here is a place for you, sir. Here, my good lord. What’s disturbing your highness? Which of you has done this? You can’t say I did it. Don’t shake your bloody hair at me. Gentlemen, let’s get up. His highness is not feeling well. Please sit, my worthy friends. Here, my good lord. What is't that moves your highness? [Sees the ghost] Which of you have done this? Gentlemen, rise. His highness is not well. My husband is often like this and he’s been this way since he was young. Please, stay seated. It’s a momentary fit, he’ll be fine in a second. If you pay attention to it, you’ll make it worse and it will last longer. Just eat, and ignore him. [To Macbeth] Are you a man? Yes, in fact, a brave one, since I dare to look at a thing that would scare the Devil. Feed, and regard him not. [To Macbeth] Are you a man? This is the very painting of your fear. Please, look there! Just look! Look! See? [To Ghost] What are you saying? Why, what do I care! If you can nod, speak also. If graves and tombs can send the dead back, then why bother burying them? We’ll all be devoured by vultures anyway. Authorized by her grandam. Shame itself. You look but on a stool. Prithee, see there, behold, look, lo, how say you? Why, what care I if thou canst nod, speak too. In this metaphor, Macbeth compares the tombs (monuments) that once held dead bodies that now walk the earth as ghosts (Banquo) to the mouths of vultures, which have vomited up the rotten carcasses they have eaten. What, quite unmanned in folly? If I stand here, I saw him. man-made, as in, it was man-made laws which civilized man. humane, as in the laws which reduced violence in society were humane, tolerant and benevolent. Has your madness made you no longer a man? As sure as I’m standing here, I saw him. In the old days, back before laws made us civilized, blood was often shed. Since then too, murders too terrible to describe have been committed. It used to be that once a man’s brains were dashed out, he was dead, and that was the end. But now the dead rise again, even with twenty fatal gashes in their heads, and push us off our chairs! This is much stranger than any murder. Ere human statute purged the gentle weal. The obvious meaning is that Banquo has risen from the dead, despite twenty mortal wounds (murders) on his head (crown), and taken Macbeth's seat (stool) at the banquet. These lines could also be read as a description of these treasonous times, when someone would rise up in rebellion against the king and push him from his throne (stool) by committing murders which are on his head (where now sits the crown). My worthy lord, your noble friends miss you. I forget. Don’t worry yourselves about me, worthy friends, I have a strange illness, which is not a big deal to those who know me well. Come, let’s drink to love and health for all! Then I’ll sit down. Give me some wine and fill my glass full. I drink to the general happiness of the whole table, and to our dear friend Banquo, whom we miss. I wish he were here! To everyone! And to Banquo! Drink, everyone! To our duty, and your toast! And to our dear friend Banquo, whom we miss. Our duties, and the pledge. Avaunt and quit my sight; let the earth hide thee. Which thou dost glare with. Go away, get out of my sight! Get back into the ground! Your bones have no marrow, your blood is cold. There’s no vision in those eyes glaring at me! Fellow nobles, think of this as something ordinary, nothing more, although it does rather ruin the evening. I’ll do whatever any man is brave enough to do. Come at me like a Russian bear, or an armored rhinoceros, or an Asian tiger. Take on any shape but that one, and my nerves will never budge! Or just be alive again, and challenge me to get what I deserve from your sword. And dare me to the desert with thy sword. The baby of a girl. Hence, horrible shadow. If I’m trembling in fear, then call me a little girl. Get away, horrible ghost! You mockery of reality, get out of here! Why, now that he’s gone, I’m a man again. Please, everyone, stay here. You’ve spoiled our enjoyment and broken up this good party with a stunning fit of madness. Can things like this happen and no one act surprised? It overshadowed this party like a cloud in summer. You make me feel like I’m not my normal self, now that I realize you can see things like that and keep your composure while I go pale with fear. ​The simile here means that the strange appearance of Banquo’s ghost overwhelms them as a summer thunderstorm comes over the sky. When mine is blanched with fear. I pray you, speak not; he grows worse and worse. Question enrages him. At once, good night. Please don’t talk to him. He’s getting worse and worse. All these questions are just making him angry. Good night to everyone, right now. No need to leave according to your social rank - just go quickly. Good night, and I hope his majesty is in better health soon! A kind good night to all of you! A kind good night to all. It will have blood. They say, blood will have blood. "Stones have been known to move"
The imagery in these lines makes historical reference to the superstitious belief that the tombstones of murdered victims would move, and that trees could speak of murders they had witnessed, and that those with supernatural abilities could use their tools, or “understood relations,” (such as interpreting the entrails of sacrificed birds, like magpies or crows) to identify murderers. “Blood will have blood”, as they say. Blood will have blood. They say rocks have been known to move and trees have spoken. Man’s bloodiest secrets have been shown by omens in magpies and crows. What time is it? It’s right at the divide between night and morning. 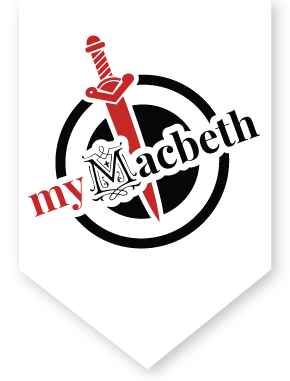 What do you think of Macduff not coming as requested? Did you send for him, sir? Almost at odds with morning, which is which. Did you send to him, sir? I hear it by the way; but I will send. And betimes I will — to the weird sisters. I heard about this from others, but I will send for him. I have servants paid to spy in every one of their houses. Tomorrow - and early - I’ll go to the witches. They must tell me more, I’m determined to know the worst by their evil means. For my own good, everything else has to give way. I’m so deep in this bloodshed that if I stopped this business now, going back would be as difficult as continuing all the way. I have strange things in my head that must be done, and they should be done before I think them through. You really need some sleep. Returning were as tedious as go o'er. Which must be acted ere they may be scanned. You lack the season of all natures, sleep. The night-season, or night time, which is an essential part of our life. Seasoning, or preservative. Sleep preserves our health and ability to function. Come, let’s go to bed. This strange behavior comes from beginner’s fears that will fade in time. We’re still quite inexperienced in murder. Is the initiate fear that wants hard use. The scene ends with a brief bit of wordplay. If you’re an audience member, without the text in front of you, “in deed” sounds like “indeed,” or certainly. But with the text, “indeed” could mean in practice, as in Macbeth and Lady Macbeth are “young in deed” or inexperienced at murder.